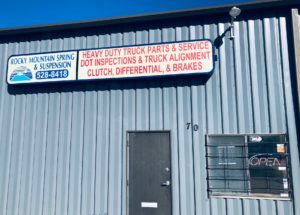 Commercial Truck Repair & Parts in Colorado Springs, CO 80907 - Rocky Mountain Spring and Suspension, Inc.
Alignments, Clutch Parts & Repair, Differential Service, and Brake Repair & Service. If you’re looking for fast turnaround time, extensive inventory, custom built parts, and very competitive labor rates, then Rocky Mountain Spring & Suspension in Colorado Springs is the place to call. We lead the industry with expertise in springs and suspensions of all types. Mark is the 4th generation in a family of suspension specialists in Southern Colorado. He opened Rocky Mountain Spring & Suspension independently of family operations 35 years ago, and continues to expand services and exceed client expectations with daily operations.